Kitchen flooring is getting a huge upgrade from porcelain tile. Ceramic has long been the "gold standard" when it comes to kitchen tile floors. However, porcelain tile's benefits often outweigh those of ceramic tile. Let's look a little closer at porcelain tile. 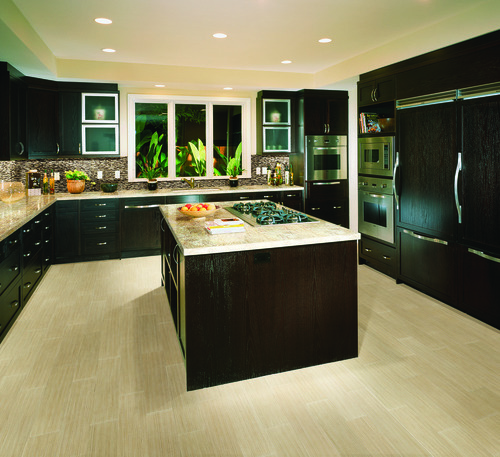 There are few flooring options available with as many design options as porcelain tile. You can choose a porcelain floor that looks like granite, limestone and other natural stone tiles. 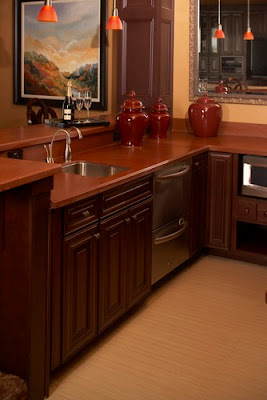 You can even find tile that looks like natural hardwood wood. Manufacturers are starting to really have fun with porcelain tile offering designs that look like leather, fabric and even animal prints - all with the durability and easy maintenance of tile. More and more people are walking into Kermans Indianapolis tile store asking about porcelain tile. Would you like to learn more? Stop by our showroom and we'll be happy to show you some of the exciting new floor options available in porcelain tile.